A prospective bankruptcy client often arrives in my office because a creditor is hot on their heels. A collection lawsuit has been filed and they’re panicked. Almost invariably, the client has leapt to two incorrect assumptions: one is that the world as they know it is coming to an end; and two, they don’t have to do anything until the date set for the case management conference, months down the road. The filing of a lawsuit is a step toward a judgment in favor of the creditor. A judgment is a determination that the debtor owes the amount of the debt and usually the creditor’s expenses to get the judgment. A judgment entitles the judgment creditor to enlist the coercive power of the state to collect that judgment by levy, lien or garnishment. A judgment in California does not automatically constitute a lien on the debtor’s assets, as it does in some states. In California a creditor with a judgment must take an additional step to create a judgment lien. A judgment lien on real estate is created when an abstract of judgment, issued by the court after entry of judgment, is recorded in the records of the county recorder. A judgment lien on personal property is created by filing a notice of judgment with the Secretary of State. A judgment lien allows a creditor to execute on that lien through the courts. In that process, even outside of bankruptcy, the judgment debtor may claim an exemption in certain kinds of property. 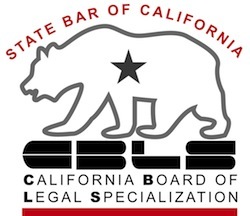 The California state exemptions are set out in Bankruptcy in Brief. In short, getting a judgment is just a step toward actually taking something from the judgment debtor. All these steps take time and cost the creditor something. The filing of a suit may be a good indicator that the client needs to do something proactive about their financial situation but it is not an emergency. About that second assumption, that you don’t need to act before the court date, you must read this. What’s the difference between a good bankruptcy lawyer and a great one?